FAYETTEVILLE, Ark. – A three-day celebration of the little-known life and work of Florence B. Price, an Arkansas native and the first major female African-American classical composer, will be held Feb. 15-17 at the University of Arkansas and the Arends Art Center in Bentonville, as part of Black History Month. Price, who was born in Little Rock in 1888, wrote Music throughout her life, producing as many as 300 compositions. However, because of her race and gender she never received full recognition during her lifetime. Price died in Chicago in 1953, and her compositions were essentially lost until 2009, when they were discovered during the renovation of a house that had been owned by her daughter. The University of Arkansas bought the manuscripts and they are currently a part of the Special Collections at the University Libraries. While combing through that collection, Er-Gene Kahng, a violin professor and director of graduate advising in the Department of Music of the J. William Fulbright College of Arts and Sciences, and James Greeson, professor emeritus of music, discovered Price’s violin concertos – including one that historians did not know existed. Kahng recently recorded the formerly lost concerto with the Janacek Philharmonic and has championed the rediscovery of Price’s work through the Florence Price Preservation Project. The Caged Bird: The Life and Music of Florence B. Price — 5:30 p.m. Thursday, Feb. 15, in Giffels Auditorium. Free and open to the public. This documentary screening and panel discussion filmmaker James Greeson, professor emeritus, Department of Music; Barbara Jackson, music professor emeritus; Alisha Jones, assistant professor in the Indiana University Department of Folklore and Ethnomusicology; Charles Carson, associate professor in the Butler School of Music at the University of Texas; and Douglas Shadle, assistant professor of musicology at Vanderbilt University. Kim Teal, assistant professor in the U of A Department of Music, will moderate. Florence Price: Her Life, Her Music, Her Impact — 11:30 a.m. Friday, Feb. 16, in the Helen Walton Reading Room at Mullins Library. Fulbright College, in partnership with University Libraries and the African and African American Studies Program, will host a free public luncheon and discussion about Florence Price’s life and work. Seating is limited and an RSVP is recommended. The Premiere of Florence Price’s Violin Concerto No. 2 — 6:30 p.m. Saturday, Feb. 17, at the Arend Arts Center in Bentonville. The Arkansas Philharmonic Orchestra and U of A violin professor Er-Gene Kahng will premiere Price’s recently discovered Violin Concerto No. 2. Conductor Steven Byess will discuss Price and her music, and the concert will begin at 7:30 p.m. It also includes a performance by the University of Arkansas Inspirational Chorale under the direction of Jeffrey Murdock. Tickets are available at Tribute to Florence Price website. For more information about Florence Price, or to RSVP or purchase tickets for these tribute events, please visit the Tribute to Florence Price website. About Florence B. Price: Price was born in Little Rock, in 1888 and began her musical training at an early age. Her first composition was printed in 1899, when she was 11. 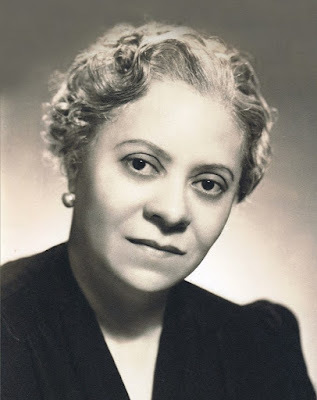 In 1903, she graduated Valedictorian from Capitol High School in Little Rock, and went on to study at the New England Conservatory, where she earned degrees in organ as a soloist and piano as a teacher. She returned to Little Rock in 1906 and taught at Shorter College, but the deteriorating racial climate in Little Rock convinced her to move to Chicago in 1927. She continued her musical studies and began composing her works of note, winning first place in the Rodman Wanamaker Music Contest in 1932 for her groundbreaking Symphony in E Minor. It was premiered in 1933 by Frederick Stock and the Chicago Symphony Orchestra. This was the first work by an African American woman to be performed by a major symphony orchestra in the United States.